Rainere Hale Martin’s God-given musical talent manifested itself at an early age. When just a child she began to sing the beautiful songs her grandmother taught her and soon realized the blessing her voice and music could be to others. 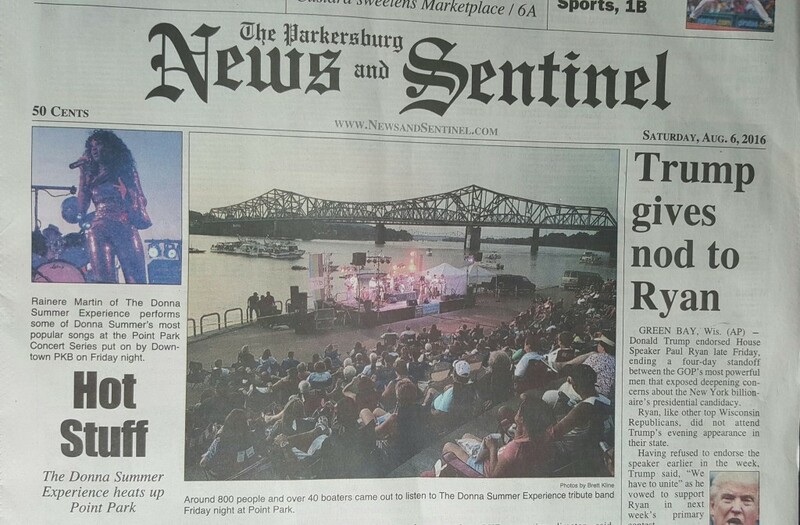 Today, Rainere Martin, often known simply as Rainere, takes her talent all around the country entertaining and winning the love of audiences from coast to coast. 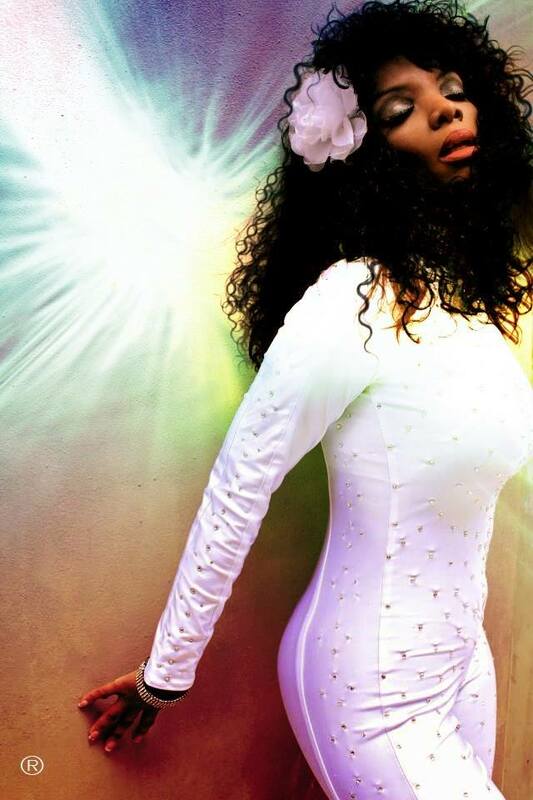 Following a standing ovation performance on the national television show ‘Showtime at the Apollo’, Rainere realized the musical pulse of the 70s and her passion for honoring its iconic disco singer, Donna Summer, was the niche she had been searching for. She went to work developing her tribute performance and presented it before audiences of all sizes, electrifying them with her musical genius and exuberant energy. 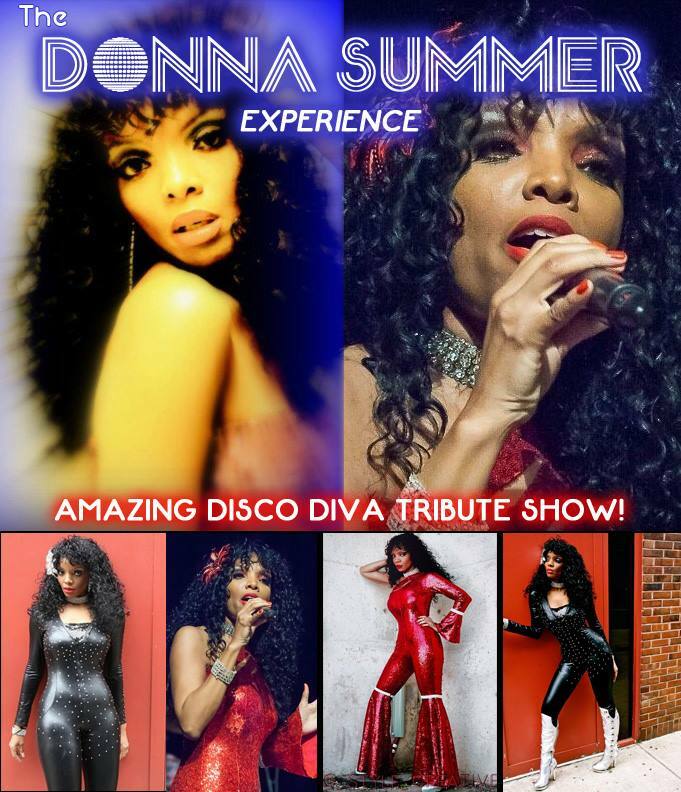 When enthusiastic audiences witness Rainere Martin’s amazing talent during her tribute to the Queen of Disco, Donna Summer, they’re transported back to the dance-oriented period of the ’70s. The sounds of funk, soul and pop are infused in Rainere’s performances while her vitality captivates fans as they dance with the energy of the music. Rainere has remarked that her connection to Donna’s songs lives deep inside her. This makes it possible for her to honor the life and re-create the performances of the beloved singer. 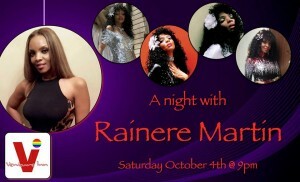 Audiences are captivated by Rainere’s performances of Summers’ chart-topping disco hits of the 70s. 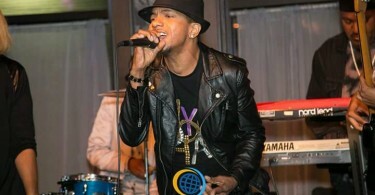 Rainere performs with Tribute Tours and is currently touring with other “Legend” and available for solo performances. She brings it and the audiences love it and so does the media. Rainere is one of the most talented musical impersonators on tour today. Her debut performance with Legends in Concert at Bakers Atlantic City dazzled the audience. 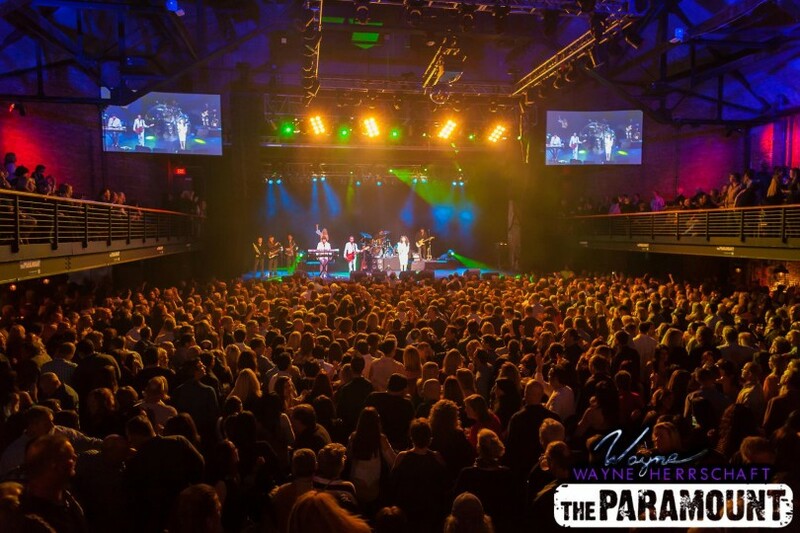 Having performed at 2015’s Disco America Dance Championships, the Legends in Concert series, and with other world-class entertainers at popular venues including The Tropicana in Atlantic City and BB King’s in New York, Rainere has perfected her ability to entertain crowds with the classic disco sounds of the ’70s. 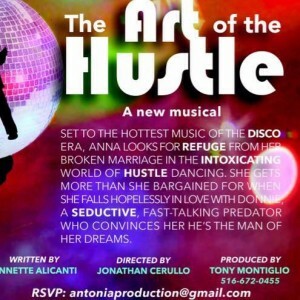 In 2015, Rainere auditioned for and won a role playing Donna Summer in Broadway’s upcoming show, The Art of the Hustle, written and produced by Annette Alicanti and Tony Montiglio, and directed by Jonathan Cerulo of JSC Theatricals. Early in her career, Rainere explored various music styles and entertainment venues including state and theater, motion pictures, music videos, and television. 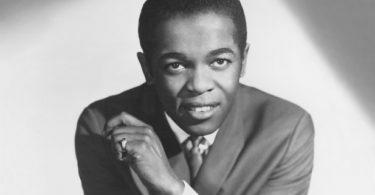 Her talent, versatility, and prominence as an entertainer led to invitations to perform for a number of important social and corporate events. Her musical repertoire covers a span of six decades, and her versatility enhances her ability to entertain fans with a fun timeline of music including pop, soft rock, romance, and a touch of country. Audiences respond to Rainere with ovation and applause as she pours her heart into every performance. Rainere continues to expand her range of songs from several genres by singing and celebrating the accomplishments of music pioneers and contemporaries alike. She entertains music aficionados as well as new enthusiasts who are just discovering the sensational tunes legendary artists. Witnessing this artist’s sensational performances in her tribute to the Queen of Disco makes it so easy to get #hookedon Rainere! Amazing performances from this great artist. Definitely a must to listen to her sing. Awesome. As far as great musical talent goes, this girl rocks in my opinion. Can`t wait to see more of her amazing talent as soon as possible. I have known Rainere for about 10 months, now. And, I must say that it has been an honor witnessing her career take off. She IS Donna Summer (look alike & sound alike) and being much younger, she will be one to watch as she blazes her own trail. I have had the pleasure of driving with her to concerts where she is hired to perform… it’s surreal as she uses some of the drive time to warm up her vocal chords singing to her back drop of music. It is funny to see the gas station attendants doing a double take as they hear her voice and it is jaw dropping to hear her voice live. No matter what the venue, she is a HIT!! !